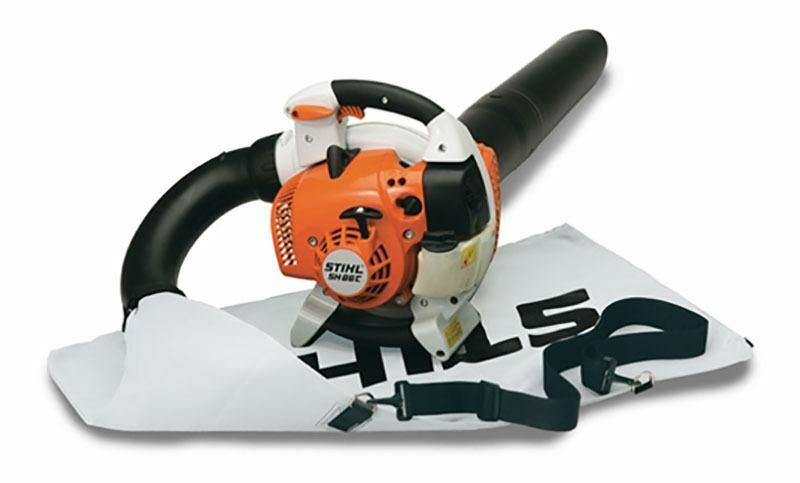 Like a strong wind with an off switch, the STIHL SH 86 C-E professional shredder vac is a powerful landscaping tool – and it comes standard with the necessary parts to easily convert this shredder vac into a handheld blower. It features the same STIHL Easy2Start™ system as the SH 56 C-E, but delivers higher air volume and velocity for tackling difficult yard waste. The shredder vac/blower also features soft-grip handles and four-spring anti-vibration technology for greater comfort on the job. And as it shreds, the clippings accumulate in a secure, easy-open zippered bag for convenient emptying.